There are six key steps that businesses should take when developing a record retention policy, beginning with the identification of types of records and media, determination of business needs for records retention periods, and consideration of the creation, distribution, storage, and retrieval of documents. The final steps are to factor in the destruction of documents, document and implement any established policies, and conduct ongoing management of the system. When it comes to planning a corporate relocation, finding the right team for the job can mean the difference between a timely, stress-free move, and one that is riddled with delays and problems. If you’re looking for commercial moving services in New York City , then keep reading to learn what qualities to look for in your movers. 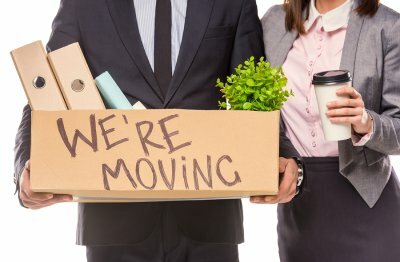 For any relocation, working with a moving company that is well-established and has a reputation for quality service is important. However, for a corporate move, it’s ideal to partner with a company that has a history of providing commercial moving services. Corporate movers will be more familiar with the steps required for moving an office or business and be able to help you navigate the logistics of the process. Furthermore, these professionals can work with you to develop a strategy that will minimize the downtime your company experiences. There are plenty of moving companies that claim to offer commercial moving services but primarily conduct residential moves. To help you differentiate the experts from the pretenders, ask the moving company for several references of the recent moves that they have completed for businesses like yours. A high-quality commercial moving company will be properly insured and willing to deliver the related documents upon request. If the company hesitates to provide you with a Certificate of Insurance, then they may have a history of accidents or minimal experience with commercial moves. When hiring a commercial mover, you want to work with a company who will provide you with not only an estimate of the move’s cost but a game plan, as well. An excellent mover will work with you to develop a moving schedule that suits your timeline and promotes a successful, streamlined relocation. The moving plan should incorporate factors like the number of trucks needed, what equipment will be required, the moving team’s size, and the projected length of the process. Throughout the course of every fiscal year, your company will create many different types of important documents that are critical to your business operations. Rather than simply filing your critical papers away for later use, you may want to consider setting up business record retention in New York City . A company that offers record retention services in NYC will have the facilities and knowledge needed to make sure that your paperwork is being stored safely and securely. One of the biggest advantages of record retention is that this type of service will protect your paper documents against water damage, fire damage, and other unexpected disasters. When you place your documents into storage, they will be housed in a secure facility that has been designed specifically to protect your paper documents from getting harmed. 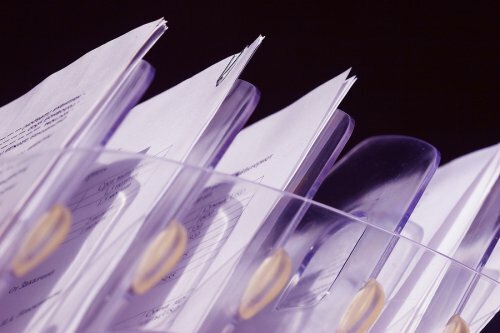 Along with protecting your paper documents from physical damage, a record retention service will also make sure that their secure information is kept safe. As your company grows, you may find that your corporate offices are no longer in the right location for the needs of your business. 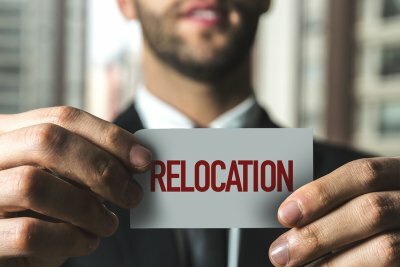 To make sure that your physical location is suited to your company’s needs, you may want to consider a corporate relocation. Your corporate relocation specialist in New York City will be able to assist you with every step of your upcoming relocation project. If you are wondering where to place your new office, here are three factors to consider when you are picking a new location for your business. When you are selecting a new location for your business, you may want to start the process by considering the culture and personality of your company. If you are running a high profile company that has a very formal culture, you should find a business location that suits this working style. A more casual office environment may fit in best in a laid back location, such as a shopping district with plenty of foot traffic. As you are looking for a site to place your new offices, it is also important to consider the demographics of your typical client base. In the event that you move your offices to a location that is inconvenient or unappealing to most of your customers, you may eventually end up losing business. The right location will be centrally located and easy for your target demographic to find. To ensure that your employees and your customers are pleased with your relocation, it is also a good idea to consider the goods and services that will surround your new offices. Your employees may appreciate being able to head to local restaurants during their lunch breaks, so it is a great idea to place your new office in a prime retail area that is filled with shops and restaurants. Being located near to other companies that offer similar types of services may provide some friendly competition that will help your business. Corporate relocation can be an important strategy for increasing your customer base and improving the productivity of your business. Before you accomplish a corporate relocation in NYC , however, you will need to make sure that your customers are properly informed about your big move. A company that offers relocation services in New York City will be able to help you fine tune the details of your corporate move. To ensure that your customers do not get lost along the way, here are some tips that will help them find your new location. In the weeks or months leading up to your company’s move, it is a smart strategy to post physical signs at your current location that provide your customers with details about your new location. These signs should clearly state the date of your move, as well as your new address. When a customer comes in for their regular services, they will take note of the signs and remember that you will be moving in the near future. After a relocation, your customers may get confused if your business cards, website, and other corporate materials still state your old address. To avoid confusion, you should update your business address as soon as it is appropriate. If a new customer finds your company online, having an updated address will help them navigate to your new location. On your website, you should make sure to clearly state that your address has recently changed. If you have an email list that you use to contact your customers with promotions and special sales, you may want to use this resource to inform them about your new location. A mass email will allow you to touch base with current and past customers. If you will be offering any special promotions to celebrate your relocation, you can use this email to inform your customers about the deals that they will get when they visit your new offices.